Next-Generation Chevy Beat (Spark) To Have A Sedan Version? General Motors sales are none too hot in India at present, dropping a disconcerting 44 percent in October 2014 when compared to the same month in 2013. 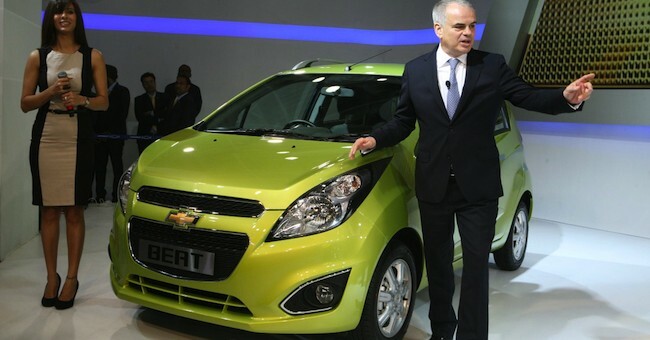 To rectify this, Chevrolet is working on a compact sedan version of the popular Chevrolet Beat (a.k.a. Spark) to be built in India and likely released sometime during 2016. According to our source – IndianCarsBikes.in – the sedan will be less than 4 meters in length, and share the same Gamma II platform as the next-generation Beat. The two will also likely share both engine options and other parts. GM is also working on a new AMBER platform to serve as the basis for its cars offered to other developing countries, but no cars are likely to be built on that platform until 2017. Thus, the Beat sedan – internally known as the “MCM” – is meant to bolster sales in the meantime, as the new platform continues development. No word yet on whether this new Beat/Spark sedan will make its way into the domestic market, although it has been indicated that India may likely build some number of these sedans for export.